Enjoy car rental services in Indore | Hire a luxury car that suits your taste | Plan your trips to outstations like Ujjain, Omkareshwar, Maheshwar and many more through our Taxi services in Indore. Shraddha Car Rental Company offers different types of car for different types of services. Our services includes Luxury cars, Midsize Sedan Cars, Minivan, Buses for rent in indore and outstation.Basically if you are going on a long journey like a 250+ kilometers travel then you need a comfortable, luxury and spacious vehicle in which you can travel and enjoy. Apart from these, to assist our client in a better way we also do the Hotel Bookings for our client. We have tempo traveler which is a 12, 17, 20 seater vehicle especially for long travels with number of people in a family. This tempo traveler is comfortable and suitable for a big family of 12-15 members. Similarly we provide mini bus on rent for Special and family events or Outstation in case when a group of people like family friends, relatives or acquaintances are going for a journey together. A mini bus can accommodate 25-45 people with good seating space making the journey comfortable. These buses are equipped with AC and other modern equipment making your journey comfortable. Shraddha travel solution provides luxury car rental services in Indore. 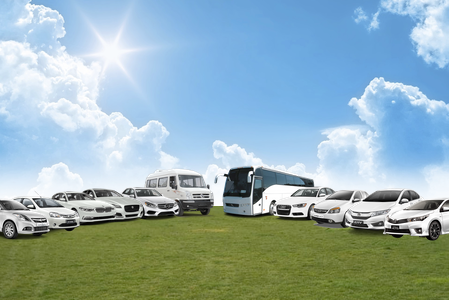 We offer a variety of cars that are ready to cater your travelling needs. Our fleet include luxury cars from BMW, Audi, Mercedes, Jaguar etc. Shraddha Travel Solution is the leading Fleet provider in Indore. We have large number of cars in our Fleet. We provide luxury cars, mid size cars, premium cars in indore .